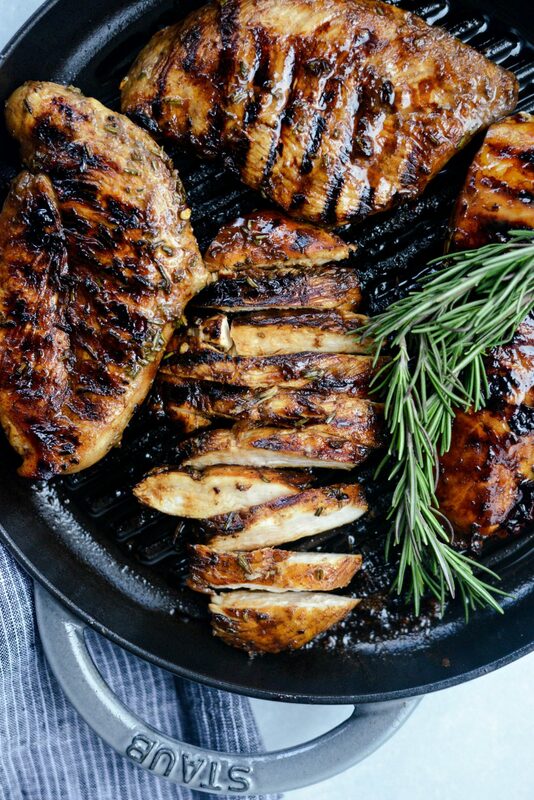 If you’re looking for a simple and flavor-packed recipe to grill, you must try this Balsamic Rosemary Grilled Chicken! 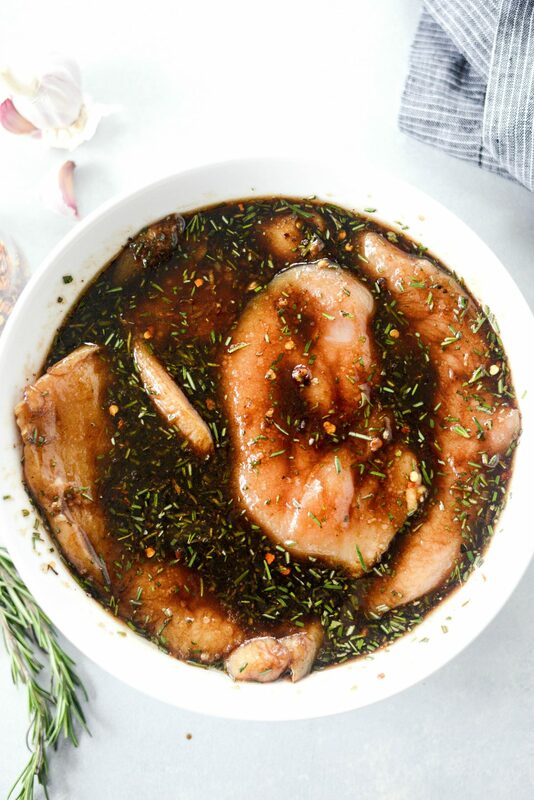 Chicken soaks in a robust marinade of garlic, brown sugar, balsamic vinegar and rosemary before heading off to the grill. Serve as is with just about any side dish or slice to top of your favorite salad. Sorry for yet another chicken recipe. I swear to you, I’m not trying to bombard you with poultry recipes, I just didn’t recipe plan very well this week. I had a couple projects to work on, Mal’s softball, plus the preparation/final touches for Haileigh junior year prom which was on Friday, so needless to say my schedule was thrown out of whack. The good news? I squeezed in this balsamic rosemary grilled chicken before all the chaos. Now it’s Sunday and I’m sitting in bed with a cup of coffee in my left hand as I punch the keyboard with my right. It’s already been a few days since I made this and I’m reminiscent of how mouthwatering this balsamic rosemary chicken smells and tastes. One of my favorite marinades. Hands down. The true magic happens when grilling and the remaining marinade that has clung to the chicken caramelizes. Not to mention the smell of this chicken grilling is phenomenal. If you’ve followed this blog for a while, you’re aware of my love for my herb garden. This time of year is when I plant an array of fresh herbs, from basil to oregano, in the raised garden on my back porch. There’s something I find extremely special about walking a few steps outside to snip fresh herbs. Sure, it saves me a some money at the grocery store and I have a endless supply at my fingertips, but it’s so much more than that. It’s like, look at me! I grew this! One herb I always have in my garden is rosemary. I LOVE rosemary. If only to run my fingers down a stem to smell the woody fragrance. I love cooking with it. 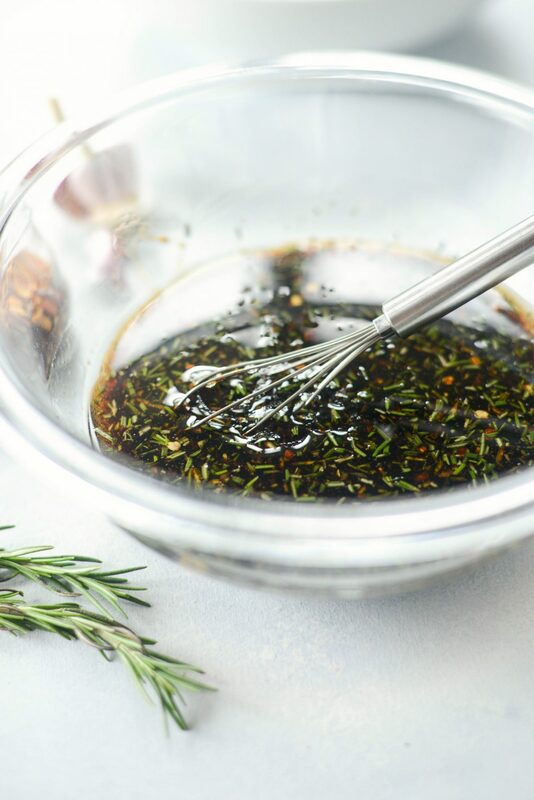 This simple marinade is a delicious blend of balsamic vinegar, fresh garlic and rosemary is a perfect example. I’ve grilled it and served it as is, but it’s also mighty delicious sliced and on top of your favorite leafy salad. 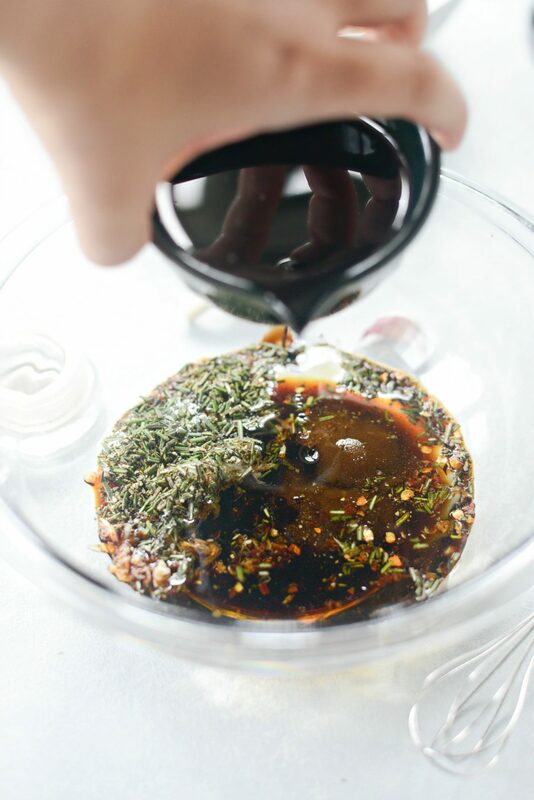 For the marinade you will need: fresh garlic, rosemary, dark brown sugar, black pepper, red pepper flakes, balsamic vinegar, tamari and olive oil. 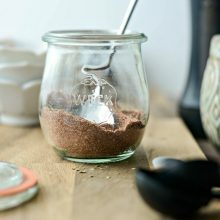 Pretty basic ingredients you most likely already have in your pantry and fridge. 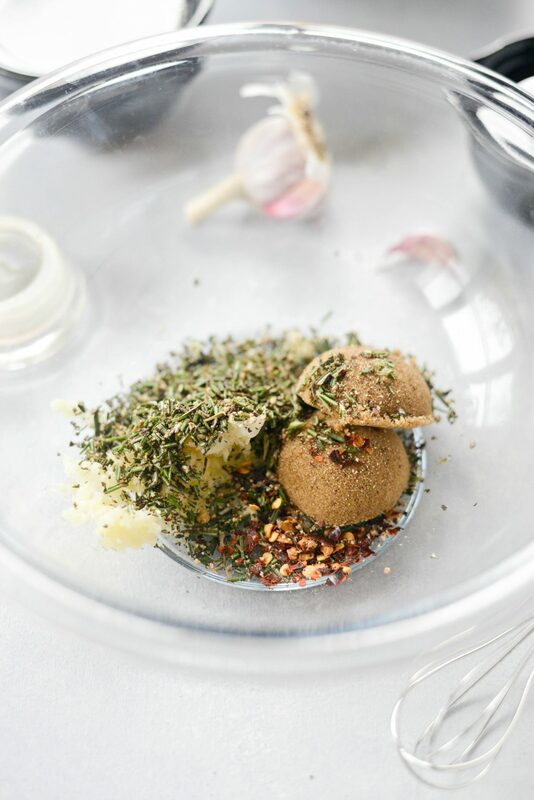 In a medium size bowl, measure and add 2 tablespoons of dark brown sugar, 3 to 4 cloves freshly grated (peeled) garlic, 1 rounded tablespoon of finely minced fresh rosemary (which is about 1/4 cup loose – give or take), a couple turns of freshly ground black pepper and a couple pinches of red pepper flakes. Next pour in 1/2 cup of balsamic vinegar, 2 tablespoons light olive oil (or any light flavorless oil) and 3 tablespoons low-sodium tamari or low-sodium soy sauce. Then simply whisk well to incorporate all of the ingredients. Alternatively, you could make this marinade in your food processor. 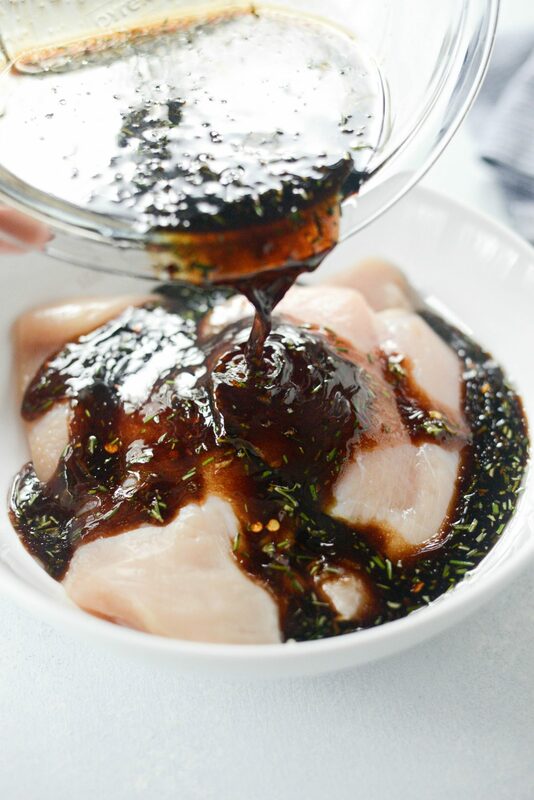 Place the chicken in a shallow bowl and pour the marinade overtop, toss to coat and cover tightly with plastic wrap. Next, slip it into your refrigerator for anywhere from 1 to 2 hours to overnight even. 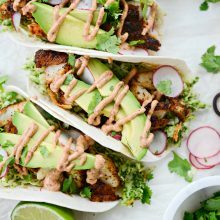 This is great for making in advance and meal prepping. 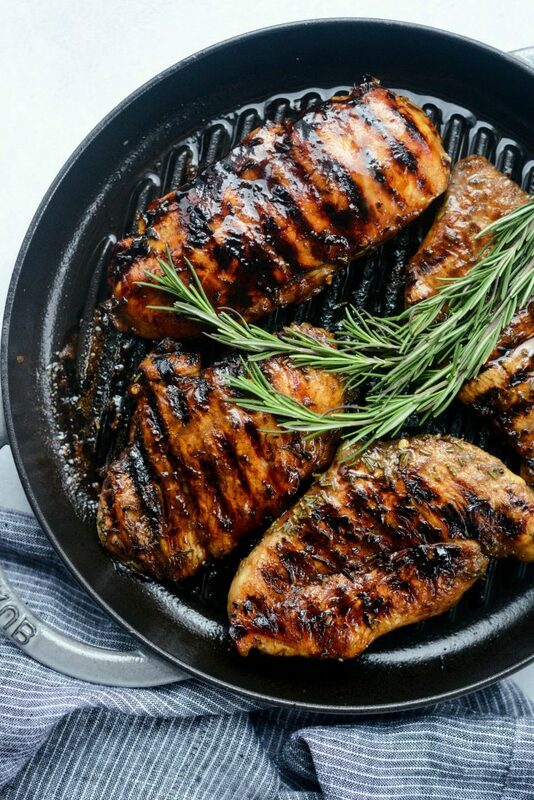 Preheat your grill pan on medium-high heat (stovetop) or your outdoor grill to 400-450°, adjusting the temperature as it cooks to avoid burning, grill for 3 to 4 minutes before turning and continuing to grill for an additional 3 to 4 minutes or until the chicken is fully cooked. 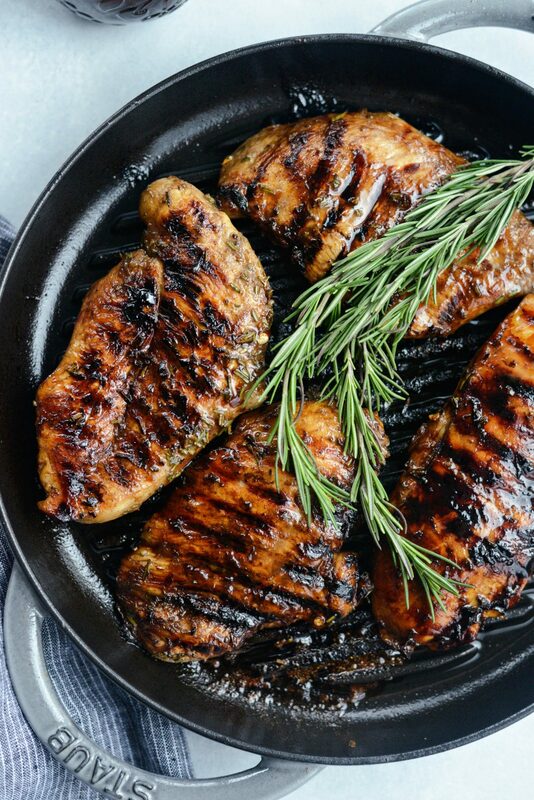 You’ll know this balsamic rosemary grilled chicken is ready to turn because it will easily release from the grill. Allow the chicken to rest for a few minutes before serving or slicing. *If using a grill pan or the outdoor grill, spray with olive oil spray before preheating to avoid any sticking. Please note that cooking times depend on the thickness and sized of your boneless skinless chicken breasts. My cooking times are based on using thin-cut chicken breast halves. 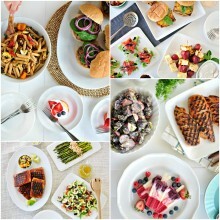 Serve with asparagus, or my favorite, grilled zucchini OR slice and serve on your favorite salad. I’ve got a berry  good salad I’ll be sharing with your tomorrow, so stay tuned for the deliciousness! Enjoy! 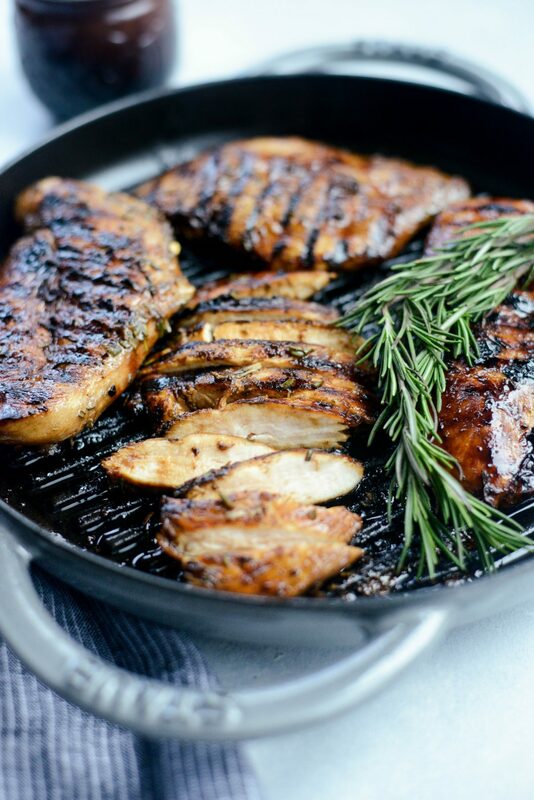 And if you give this Balsamic Rosemary Grilled Chicken recipe a try, let me know! Snap a photo and tag me on twitter or instagram! 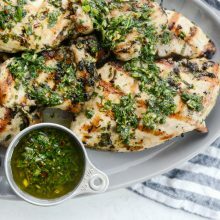 If you're looking for a simple and flavor-packed recipe to grill, you must try this Balsamic Rosemary Grilled Chicken! Chicken soaks in a robust marinade of garlic, brown sugar, balsamic vinegar and rosemary before heading off to the grill. Serve as is with just about any side dish or slice to top of your favorite salad. In a medium bowl add the chicken (thin-cut breasts or even thigh meat will work). 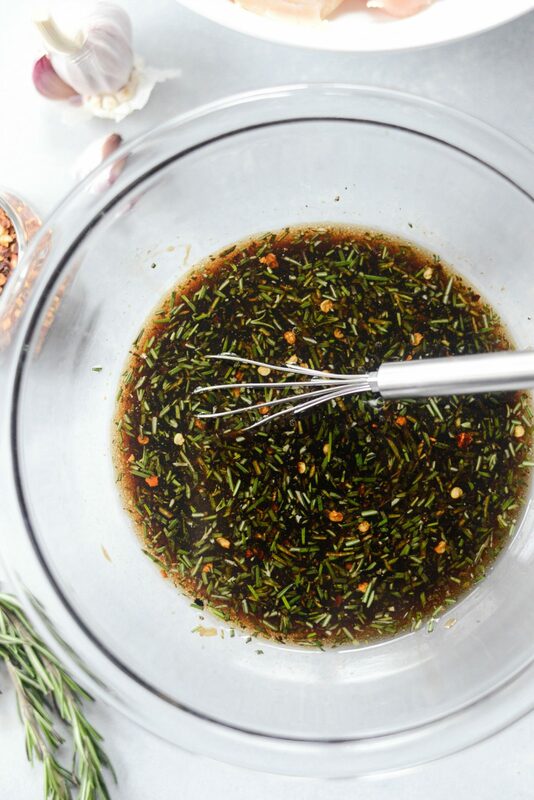 In a smaller bowl whisk together the sugar, garlic, pepper, pepper flakes, rosemary, vinegar, tamari and olive oil until combined. Pour the marinade over the chicken and cover tightly with plastic wrap. Refrigerate for 1 to 2 hours or overnight. 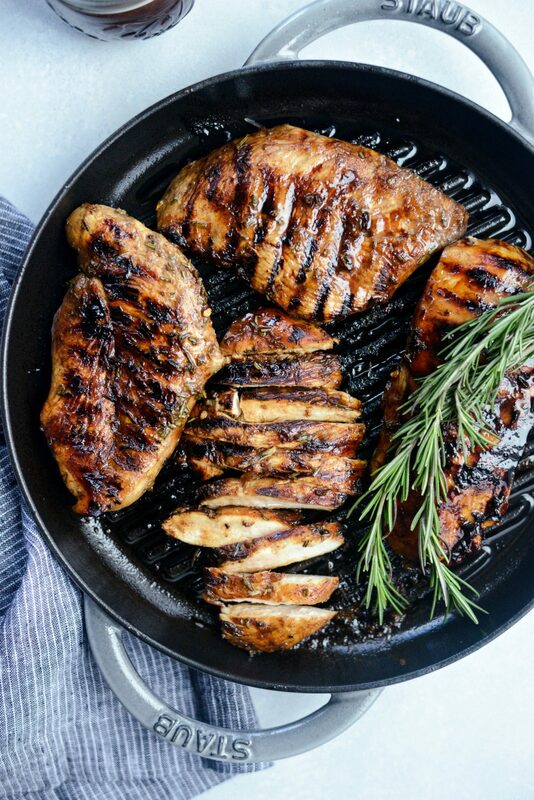 Preheat your grill pan* on medium-high heat (stovetop) or your outdoor grill to 400-450°, adjusting the temperature as it cooks to avoid burning, grill for 3 to 4 minutes before turning and continuing to grill for an additional 3 to 4 minutes or until the chicken is fully cooked. 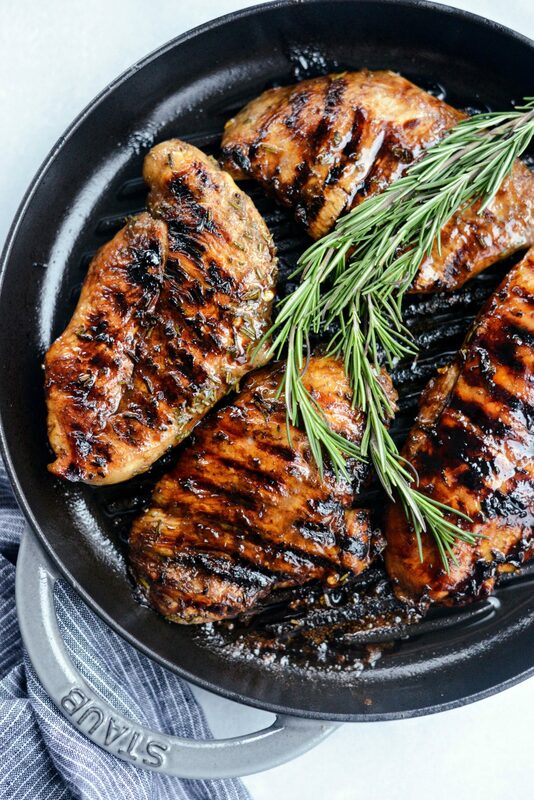 You'll know the balsamic rosemary grilled chicken is ready to turn because the chicken will easily release itself from the grill grates. Allow the chicken to rest for a few minutes before serving or slicing. If using a grill pan or outdoor grill, it would be a good idea to spray with olive oil spray before preheating. 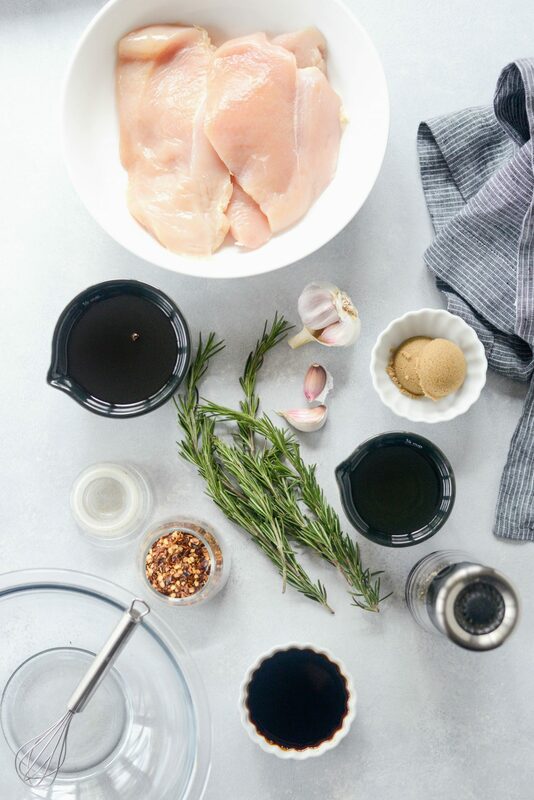 Please note that cooking times depend on the thickness and sized of your boneless skinless chicken breasts and that my cooking times are based on using thin-cut chicken breast halves. Note this recipe needs at least 1 hour up to over night to marinade. 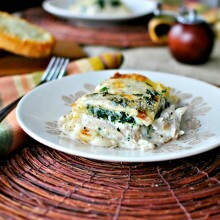 White Chicken Cheese Lasagna | A Tasty Kitchen Recipe! So this was delicious…. I know it may sound a bit odd with all that vinegar, but I must say it is turned out so flavourful! I should say I used white pomegranate-quince balsamic and it was ah-maz-ing! Strongly recommend! 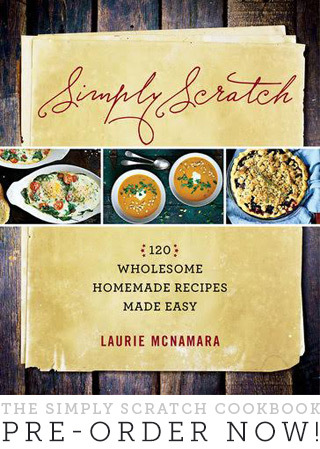 Thank you, Laurie, for another delicious recipe! 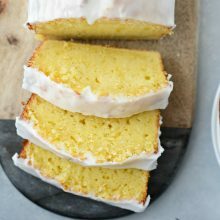 I’m so happy you tried the recipe and liked it, E!